The apartment has a great layout with a windowed dining area off the large 12 x 21 living room. The kitchen has been tastefully renovated with granite countertops, maple cabinets, a side-by-side refrigerator with an icemaker, built-in microwave and even has a garbage disposal. There are hardwood floors in the living room, foyer and dining area. New Berber carpet covers the 12x14Bedroom. 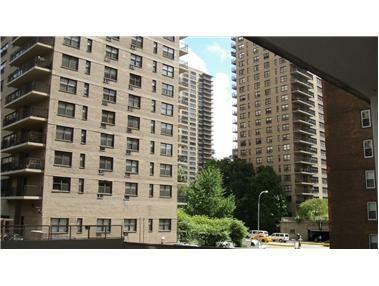 Close to public transportation, this wonderfully run building, off West End Avenue, is in the heart of the city, just steps from Lincoln Center, Riverside Park and Central Park. The many amenities include: a 24 Hour Attended Lobby, laundry and community room. The cooperative requires 25% down. The low $650 maintenance includes utilities. Sorry, NO dogs allowed.